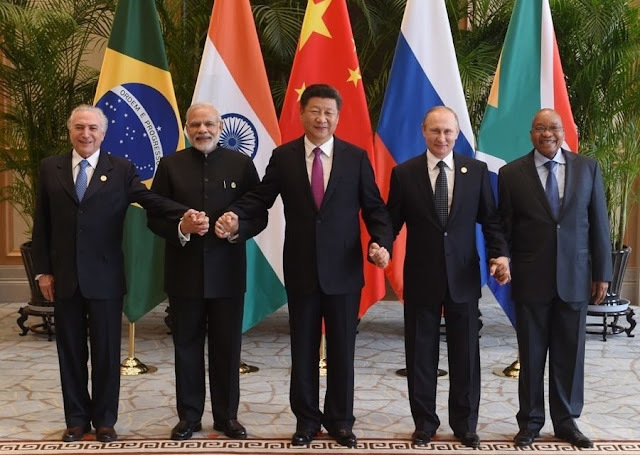 China on Thursday has asked India not to raise the voice against its ally Pakistan for sheltering terrorists during the upcoming BRICS summit in Xiamen next week, which will be attended by PM Narendra Modi. Saying it “would not be appropriate” to discuss Pakistan’s counter-terrorism record and the concerns expressed by India. Chinese foreign ministry spokesperson said, “We have taken note of the concerns of the Indian side on the fight against terrorism issues of Pakistan, but I don’t believe that it should feature prominently during the Xiamen Summit.” She also meant that raising the issue might affect the success of the summit because Chinese leaders may be forced to defend its close ally, Pakistan. Further, she added Pakistan has been at the “forefront of counter-terror efforts” and made sacrifices. The international community should recognize its contributions and sacrifices; China opposes linking terror to any one country, the foreign ministry had said at the time. Last year, Beijing had blocked India’s attempts to include UN terror tag for Jaish Chief Masood Azhar. The 9th BRICS summit will be held in Xiamen city, China from 3 to 5 September. China is hosting the summit for the second time.